(1:55 p.m. EST) -- Cruise ships have been sailing from San Juan, Puerto Rico for weeks, but today marks the first time that cruise passengers have disembarked and spent time in the city as a port of call since Hurricane Maria devastated the U.S. territory in September. Two eight-night Eastern Caribbean cruises departed Fort Lauderdale on November 25 -- Carnival Conquest and Royal Caribbean's Freedom of the Seas -- and both called on San Juan today. "This marks the first of dozens of port of call visits to the island destination by Carnival Cruise Line ships in the coming weeks," said Vance Gulliksen, senior PR manager for Carnival Cruise Line, in a statement to Cruise Critic. 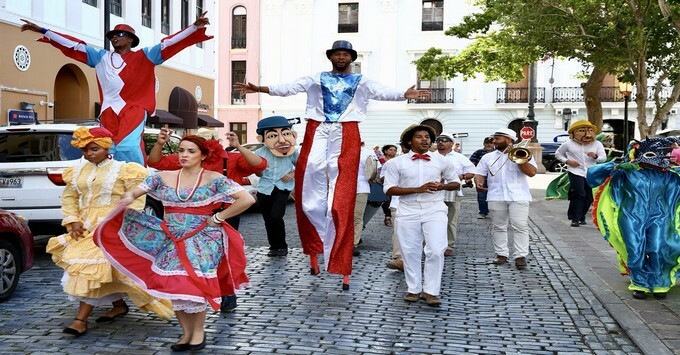 "During today's call in San Juan by the Carnival Conquest, the ship's 3,200 guests could enjoy a wide range of shore excursion choices as well as opportunities to experience and explore Old San Juan's many restaurants, shops and boutiques." According to a representative on behalf of Puerto Rico Tourism, an estimated 58 cruise arrivals will be greeted in San Juan during November and December, resulting in more than 110,000 passengers, and an economic impact of roughly $25 million. Cruise Critic member Tenngal got off Conquest today on her fourth visit to San Juan and shared her thoughts on the voyage's roll call thread. "Just got back onboard. Looks great! Had a great time walking around the old town. (Wish the trolley was running, but understand why not.)" Shore excursions that were available to Carnival passengers included the Window Cave Experience; Horseback Riding and ATV Adventure at La Hacienda; Vivo Beach; Fortresses of Old San Juan; and History Behind the Walls (San Cristobal Fort). Cruise Critic member colocop004 visited the historic city today as a passenger on Freedom of the Seas and shared, "We walked around Old San Juan for a few hours and had lunch. I was actually surprised to see how well this area looked. There were obvious signs of the hurricanes, but overall it looked great." "Today, the Island welcomed over 7,000 cruisers, the first batch of passengers following Hurricanes Irma and Maria from cruises making a transit stop to the Island," said a statement from Puerto RicoTourism. "Royal Caribbean Freedom of the Seas and Carnival Conquest passengers were greeted with an extremely warm welcome -- Puerto Rican style. 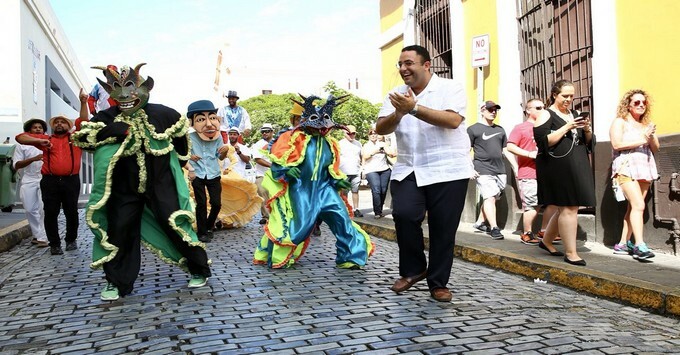 Festivities ranged from free salsa classes, rum and coquito tastings, to traditional BatuPlena percussion bands, artisan markets, street performers, children fairs and much more." 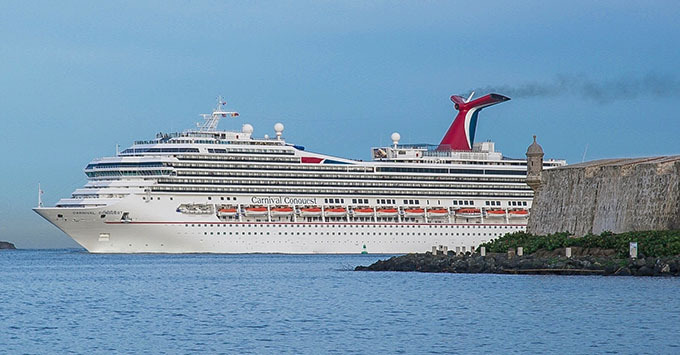 Passengers onboard Freedom and Conquest have already called on Antigua and St. Kitts; tomorrow the ships head to their respective brand-owned ports: Carnival Conquest sails for Grand Turk in the Turks & Caicos, while Royal's Freedom of the Seas makes a call on Labadee in Haiti. Carnival returns to homeporting from San Juan on February 18 when Carnival Fascination begins weeklong and year-round Southern Caribbean itineraries. Fascination is currently being chartered by FEMA to assist relief workers in St. Croix. Royal Caribbean has been homeporting from San Juan since October 7, when its ship Adventure of the Seas began regular sailings after a number of humanitarian voyages delivering relief supplies to affected islands and transporting residents of Puerto Rico to the mainland. Cruise reviews and passenger accounts of the pre- and post-cruise hotel situation in San Juan have varied; most say that hotels in the port are open, with the caveat that many are still running on a generator and might be without hot water. A representative on behalf of Puerto Rico Tourism told Cruise Critic more than 100 hotels are taking reservations, and travelers should call any hotel they might be interested in booking before making arrangements. All properties are listed on SeePuertoRico.com. In October we corresponded with Puerto Rico's director of tourism, and in an interview he told us, "The streets of Old San Juan never closed." Disney Magic is expected to call on San Juan tomorrow, December 1. To share or ask your stories and questions about the Caribbean, check out Cruise Critic's Caribbean is Open forum.